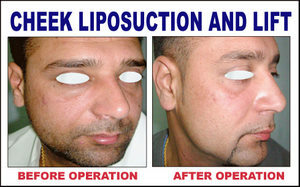 For sunken cheeks or triangular faces who requires fuller looks, Lipoinjection is done under sedation. 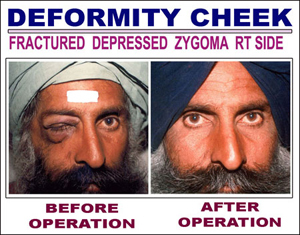 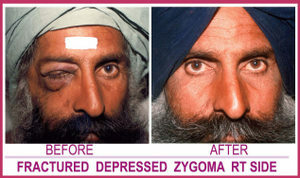 Techniques is named as "Singh's Lipoinjection Technique" and involves injection of fat in Buccal fat layer. 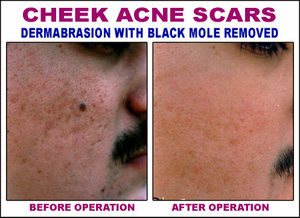 Patient who have under developed cheek bones needs cheek prominence for a confident and bolder looks. 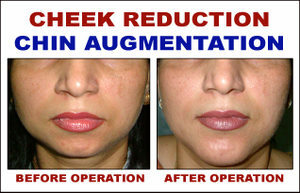 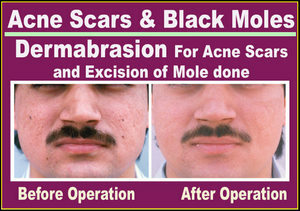 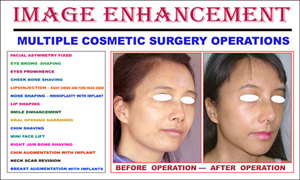 This done by placing Malar Implants [cheek implants] over the cheek bone. 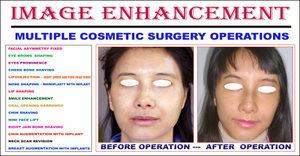 Operation is performed under general anesthesia. 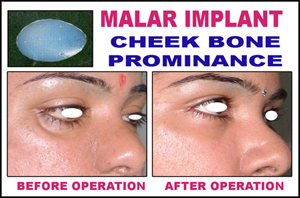 Malar implants come in different sizes, selection of desired size is done according to the patient. 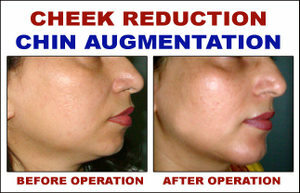 Too prominent cheek bones or unequal cheek bone in cases of facial asymmetry requires shaving or trimming of cheek bone. 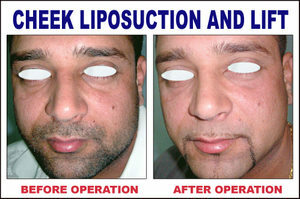 Operation done under general anesthesia.